Nightly Candy with Nana-Adwoa is where aspects of culture that intrigue, inspire, and infuriate are discussed with unabashed honesty and a dollop of sweetness. 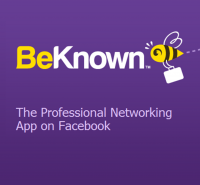 BeKnown is a new and FREE app on Facebook. It’s fueled by the employment powerhouse, Monster.com. BeKnown breathes new life to the world of professional networking. genuine networking and connection with the thousands of (the numbers are growing by the minute) registered users. 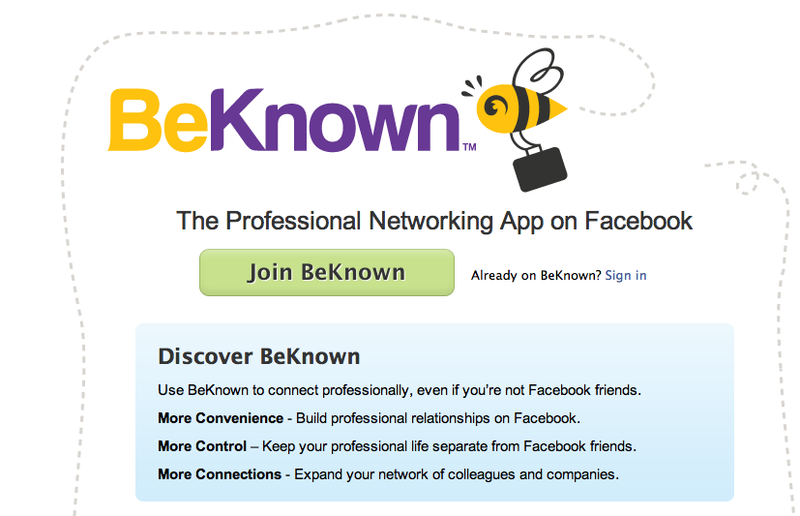 If you’re looking to network with professionals, or searching for employment, you owe it to yourself to join BeKnown. It takes only a few minutes, and the benefits are tremendous. Click here to join BeKnown today! * Nana-Adwoa Ofori is currently working with Monster.com (on a project basis) as a community manager in order to boost marketing and promotion for BeKnown. Feel free to leave comments if you have any questions or concerns regarding the app. Sounds interesting. But how is this a better or equivalent alternative to Linked In? I think LinkedIn is good. It’s a solid professional social networking tool. However, in this cut-throat economy it is vital to armor yourself with as much ammunition as possible. If you already have a LinkenIn profile, it will only help you to also join BeKnown. It’s imperative to stand-out and be noticed, and in this day and age social networking is an optimum platform to do just that. I am living proof that professional social networking leads to promising opportunities. My networking savvy enables me to make many high profile connections, and it was also how I gained the opportunity to work with Monster.com. If it happened for me, it can happen for ANYONE. In need of a sugar fix? Stop by and chew on some Nightly Candy! Follow Nightly Candy on TWITTER! Nightly Candy Twitter Followers- Growing Everyday!! Blogs I HAVE to READ EVERY DAY!! Nightly Candy w/ Nana-Adwoa™ & Nick Chavez of Beverly Hills™ Fall 2011 Giveaway! Hey Sweeties: Enter your email address to subscribe to Nightly Candy and receive notifications of new posts by email. nightlycandywithnanaadwoa on NeNe Can You Please Give us the “T” Concerning The Twisted Hearts Foundation? KARIN DILLMAN on NeNe Can You Please Give us the “T” Concerning The Twisted Hearts Foundation? Nightly Candy’s SWEETEST posts with the MOST HITS! The WIG Bret Michael Wears Deserves a Show of its Own! The Houswives of Atlanta Are Swinging BLOWS or Doing Blow?? Crazy Kim calls Lisa Wu a "Crack Head" !! Chris Brown is a Woman Beater!!! Lock Him Up and Swallow That Key!! Jennifer Hides Her Face in SHAME as She Blames TWITTER! PLEASE GIVE whatever is in Your ♥ to help Nightly Candy reach Sweeties WORLDWIDE! Nightly Candy with Nana-Adwoa by Nana-Adwoa Ofori is licensed under a Creative Commons Attribution-Noncommercial-No Derivative Works 3.0 United States License. Based on a work at Wordpress.